Impressive slider with big, high-resolution and attractive pictures do the half of the job to make your online shoes store popular. 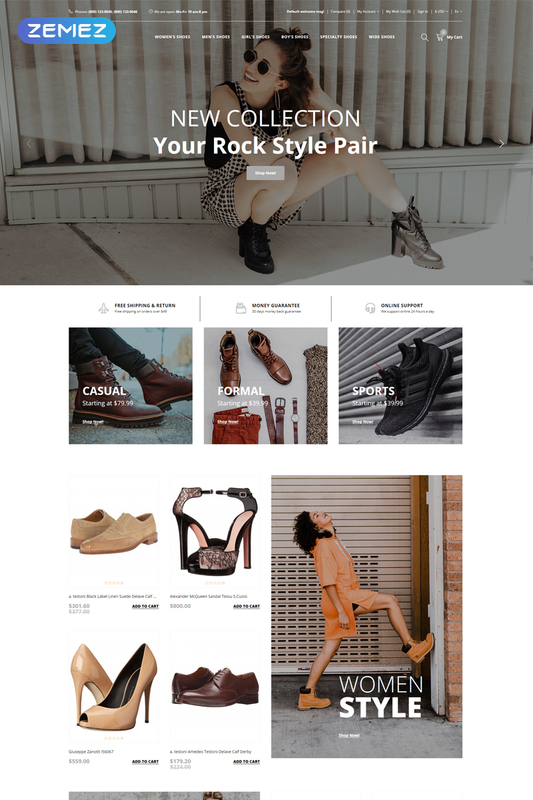 Just look at this OpenCart template - it welcomes the visitor with an impressive look and that's how it will make you successful. The second thing that makes this theme a perfect tool is simple navigation through the catalog. Understandable categories animated boxes are placed right under the slider and lead the customer to the item he needs. The product card and quick view give the user all necessary information - product description, additional photos, price, and availability. Your shoes shop is worth this template!